A new study has found that since legalization in Colorado, emergency-room visits related to marijuana have spiked. The study also indicates that edibles are a particularly risky way to consume cannabis. A team of researchers collected data on over 2,500 cannabis-related ER visits in a large public Colorado hospital between 2012 and 2016. They published the findings in the journal Annals of Internal Medicine at the end of March, 2019. Medical cannabis was legalized in Colorado in 2000 and recreational marijuana in 2012. In 2012, there were only about 200 cannabis-linked trips to the hospital, while in 2016 the number jumped to 800. The increase was mostly related to smokable marijuana and the most common reasons for the visits were severe nausea and vomiting after continuous or heavy use. Andrew Monte, the paper’s lead author and an associate professor of emergency medicine at the University of Colorado School of Medicine, said that ingesting cannabis brownies, cookies and similar products can lead to confusion, intoxication and even paranoia, especially for people who are new to marijuana. “I don’t think people are educated enough about how much cannabis to take and how long to wait,” Monte said. Monte and his team recorded nearly 10,000 emergency-room visits to the University of Colorado Health’s Anschutz campus in Aurora. Of all the visits, roughly a quarter were linked to marijuana. More than 10% of those were caused by edibles. Monte found it “striking,” particularly considering that edibles are sold in Colorado at a much lower rate than smokable forms. 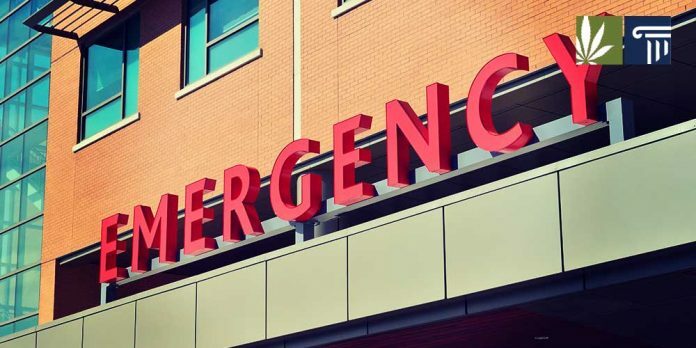 According to the clinicians’ paper, the proportion of emergency-room visits for edibles was “about 33 times higher than expected,” compared to those related to smokable cannabis. Monte suggested a number of reasons why it could be happening. Inexperienced marijuana users may be inclined to try edibles as they could perceive them to be safer and less intense. But the effects of ingesting cannabis can take hours to emerge and may last for up to 12 hours – much longer than the effects of smoking. The length of a trip from edibles is thus comparable to that from psychedelic LSD. “With inhaled cannabis, people feel high right away and generally know when to stop. If people have eaten something and don’t feel it, they tend to try more, and that makes things difficult,” Monte said. Additionally, cannabis content can vary widely between different edible products, which points to a problem in the absence of standards around dosing and labeling. In 2014, the Denver Post conducted an analysis, which showed that within a sample of dozens of products labeled with 100 milligrams of THC, some contained barely any THC, while other contained close to 150 milligrams. Still, Monte stressed that his hospital is not overcome with cannabis-linked cases. He said that it is common for ER visits to jump when a new drug enters into a community. To put these visits into perspective, he said that based on the data from his study, only one in 300 daily ER visits to his hospital would be related to cannabis. “The thing to remember here is that cannabis isn’t killing everyone, but it’s not curing everything either,” Monte said.